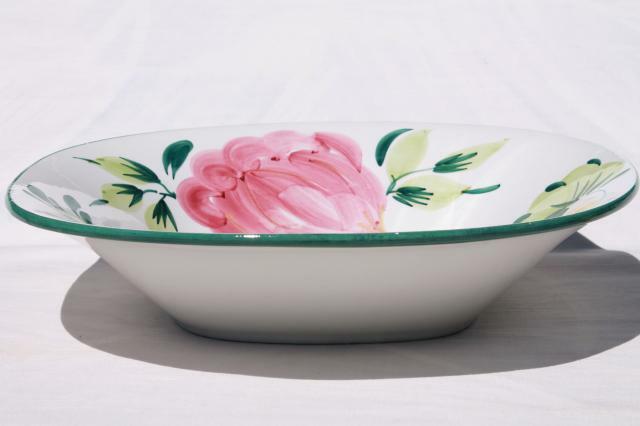 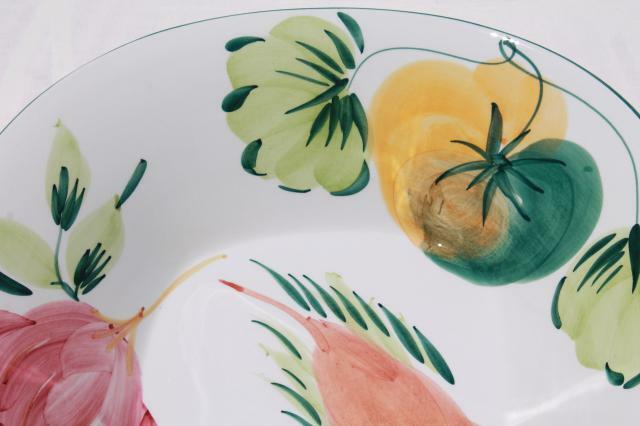 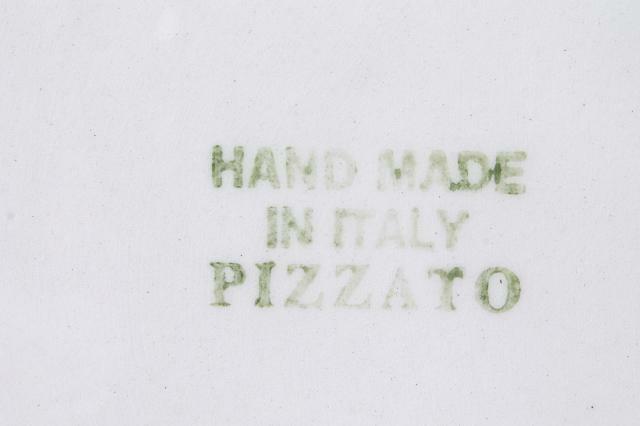 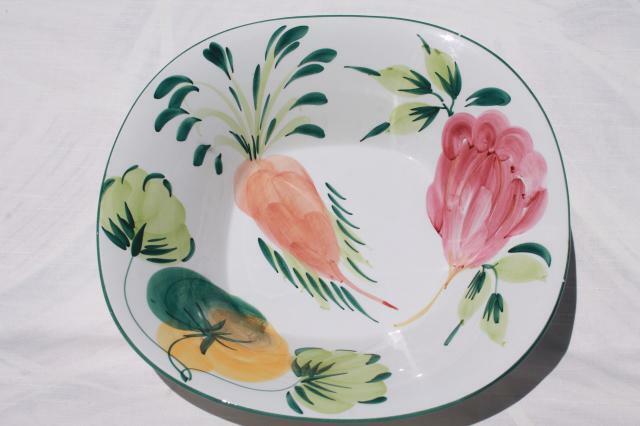 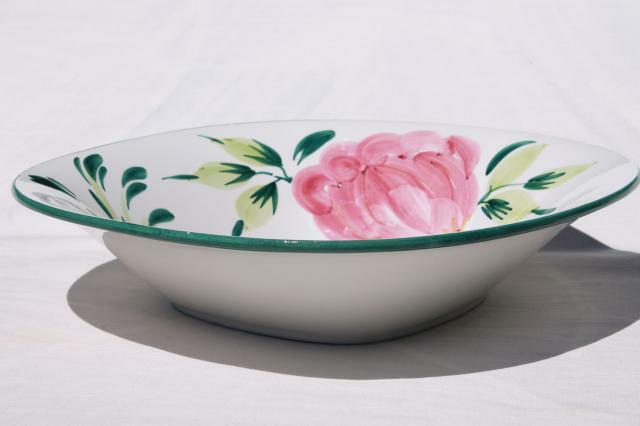 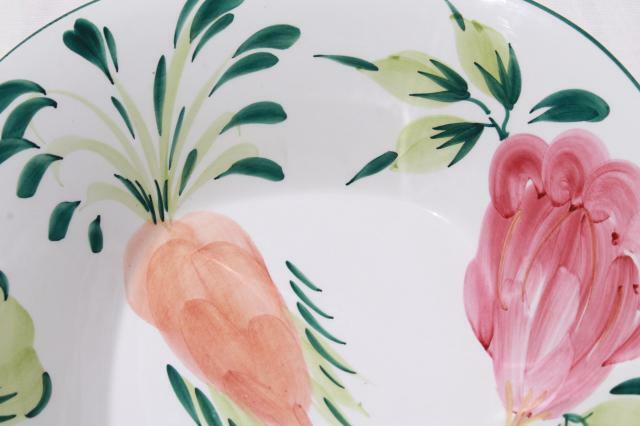 70s or 80s vintage Italy ceramic bowl with hand painted vegetables... probably a salad bowl, though we like these big bowls for spaghetti or pasta, too! 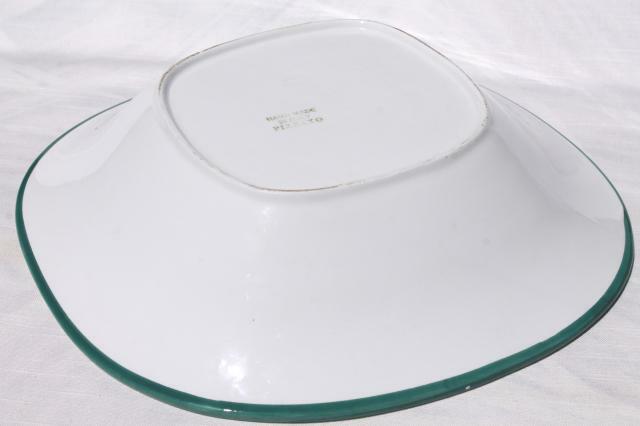 This one has a mod squarish shape, and measures about 14" x 14" across the rim. 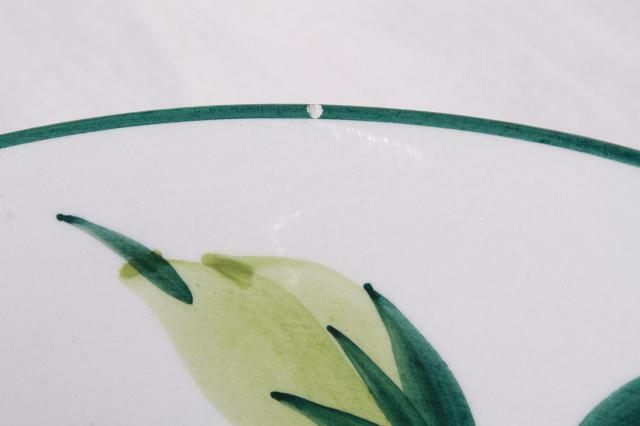 We saw a few little glaze pops to the rim, but overall, this looks very good.